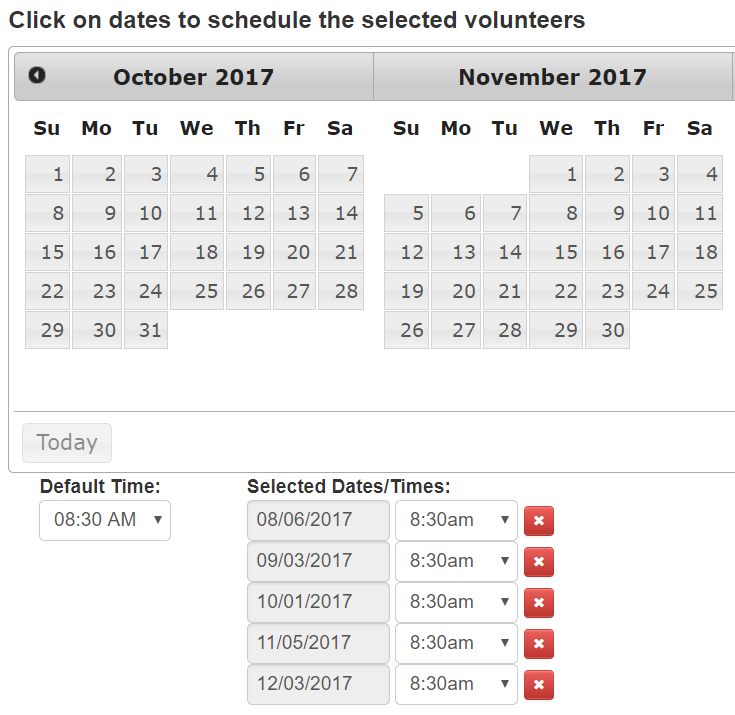 Select your volunteers to serve these dates. Send out an invitation email / text. Substitute others for those who can't serve. 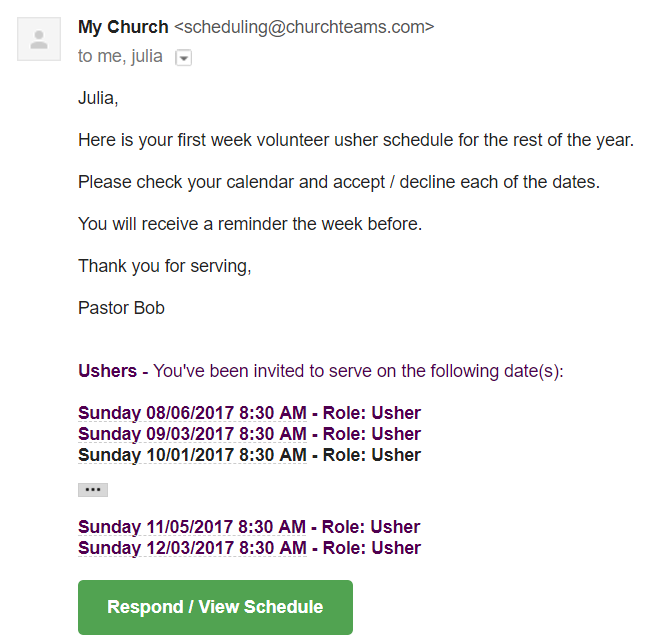 Notice in this illustration that I scheduled ushers for the first week of the month for the upcoming 6 months. I also selected the volunteers I wanted to serve on these days and what role they were being asked to fill. 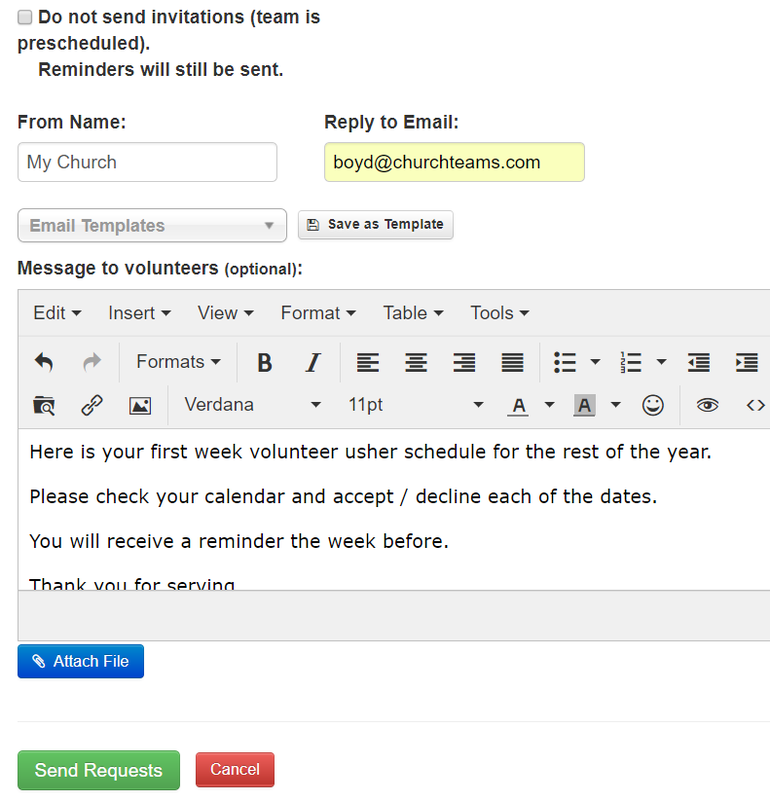 Next, I created an email / text to send to the volunteers asking them to accept or decline each date of service. Notice, I could have checked the option to not send them the invitations. When I click send, the invite goes as an email and a text to everyone selected. Here is the email the volunteer receives. With one click they are in the software, on their specific schedule page and can click to accept or decline each date of service. The leader is notified of their response. 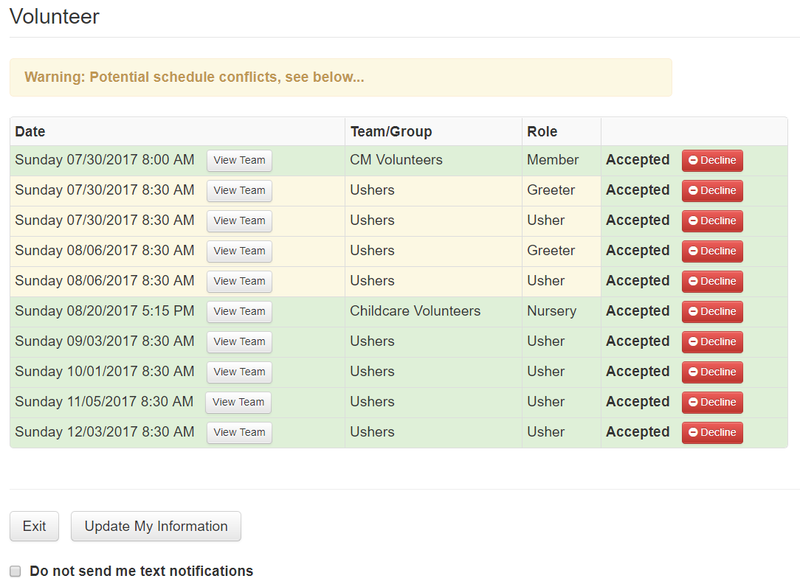 By clicking the green button, he can view his full schedule, email or text the team, add or substitute volunteers to the team, re-send invitations to all or one member at a time, and customize the reminder dates. The reminders come out at the exact same time of service the number of days scheduled beforehand. For many church staff positions recruiting, training, scheduling and managing volunteers is central to everything you do. We understand that because we've been in your shoes. 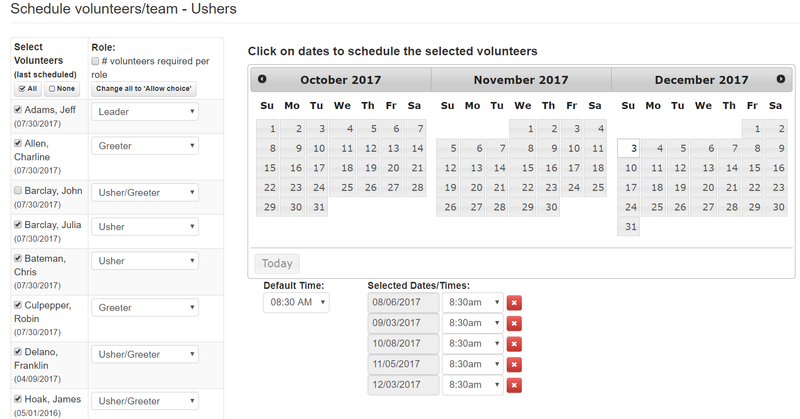 If you haven't already, use this blog post to take scheduling and managing volunteers to a new level. 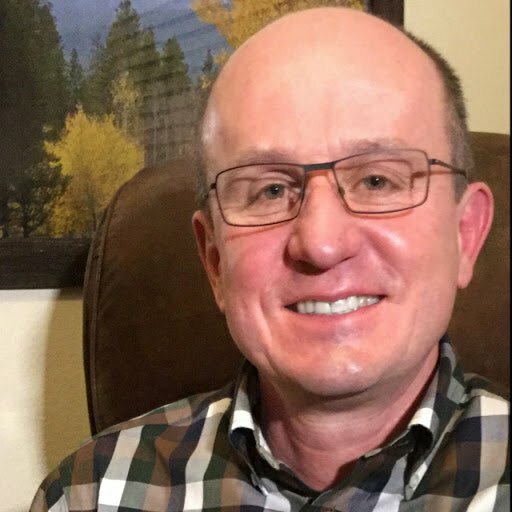 To learn more, join me for the volunteer and events webinar. 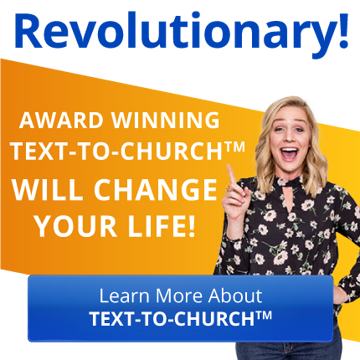 If you're not a Churchteams client, try the 30 day free trial.